Web server monitoring tools are tools that incorporate PCs located in various parts of the world to ensure that the server is accessible and operable from any country. They are an important part of web hosting as a website that is only available from certain locations on the planet is often less effective than a universally available one. 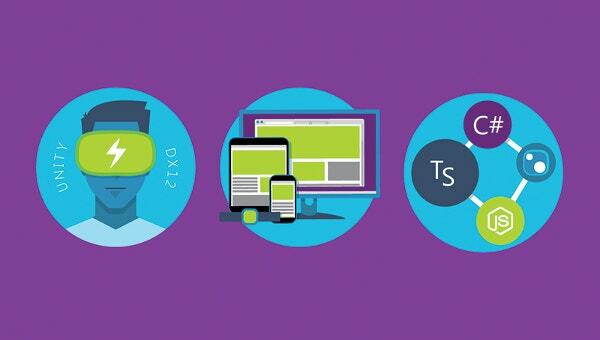 See this Software Testing Tools. Site21x7 is an excellent tool to customize and measure various attributes and it helps in keeping track of the data that matters the most. Site21x7 has two data centers, namely Primary Data Center(PDC) and Disaster Recovery Data Center(DRDC), are set up at different locations to ensure that the monitoring services remain uninterrupted in the event of a data center failure. It also finds the cause of your server downtime. 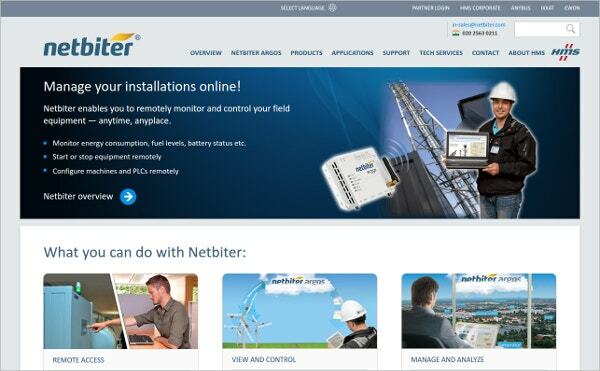 Through Netbiter – Web Server Monitoring Tools, you can remotely monitor and control your equipment which is there on the field at any time. You can perform various tasks like monitoring the energy consumption, checking fuel levels, battery status etc, using this tool. This tool also enables you to start and stop the equipment from a remote location. 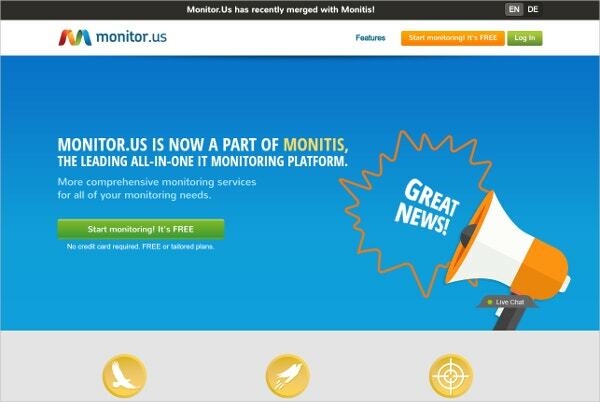 MONITOR.US : Web Server Monitor Tool enables you to keep a look on the proceedings from anywhere at any time. It protects the epicenter of your IT service. It is a native agent for both Windows and Linux and it keeps a check on CPU, memory, storage and disk and network bandwidth. 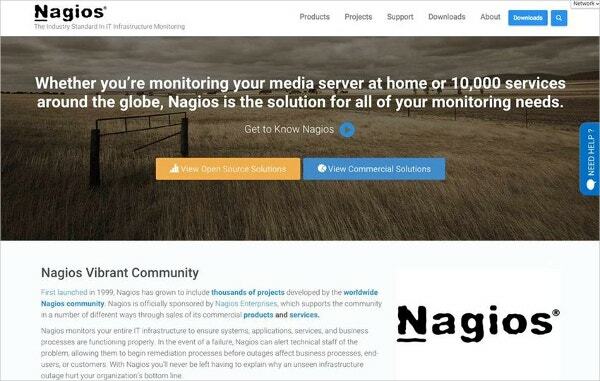 Nagios IT Infrastructure Web Monitoring tool provides a complete monitoring of websites, web applications, web transactions and web services which include URL monitoring, HTTP status, content monitoring, hijack detection and much more. 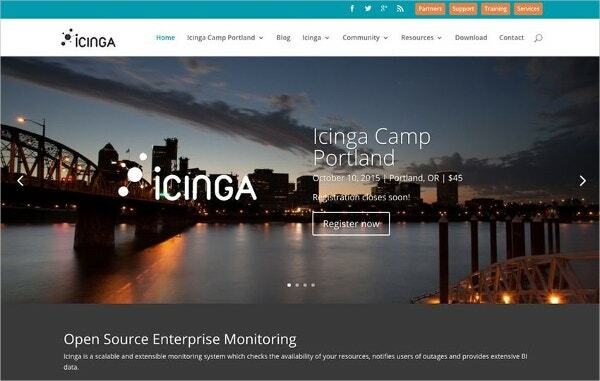 ICINGA – Scalable Web Open Source Monitoring is a scalable and extensible monitoring system which checks the availability of your resources and notifies if there is any outage and provides extensive data. 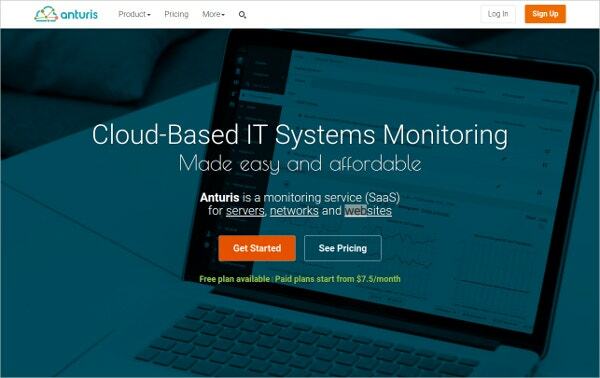 Anturis is a server monitoring tool that tracks important server performance metrics like CPU usage, CPU load, RAM, disk space, disk usage etc. 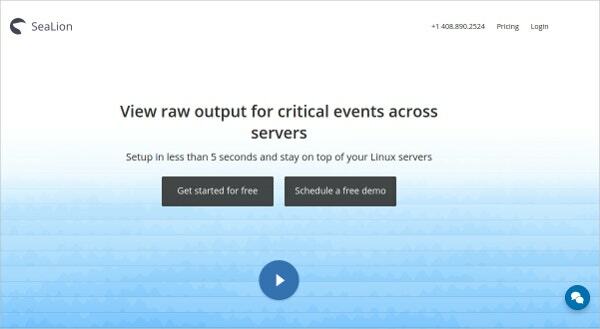 It is compatible with both Windows and Linux which enables you to monitor critical server performance metrics, applications, and networks. 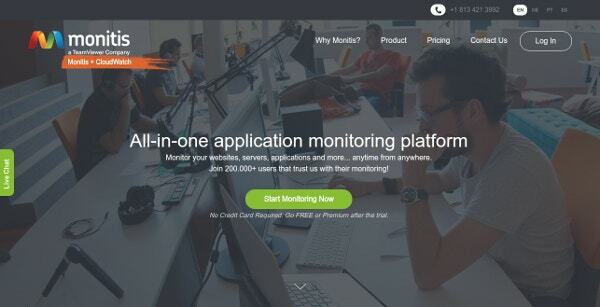 SeaLion is a server monitoring, alerting & debugging tool. 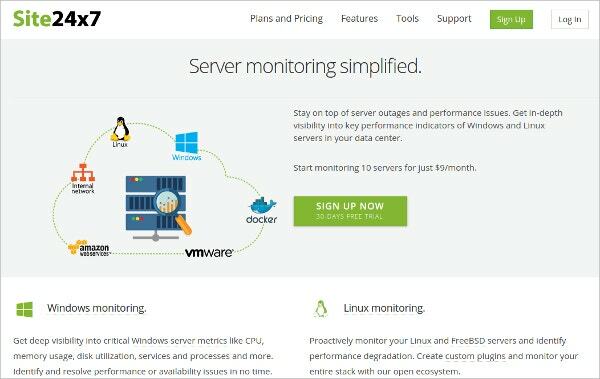 It is a Linux monitoring tool which can troubleshoot hundreds of servers. By using this tool, outputs received from different servers can be compared so that you can analyze the performance of various servers. 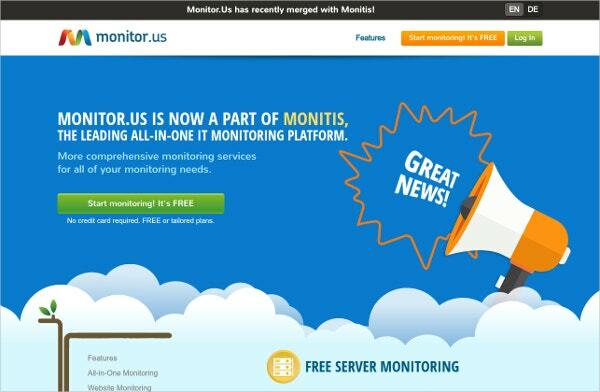 Monitis – All-in-one Application Monitoring tool helps in protecting the epicenter of your IT services with agent-based server/device monitoring. It is available for both Windows and Linux and it helps in keeping an eye on CPU, memory, disk,network, bandwidth etc. 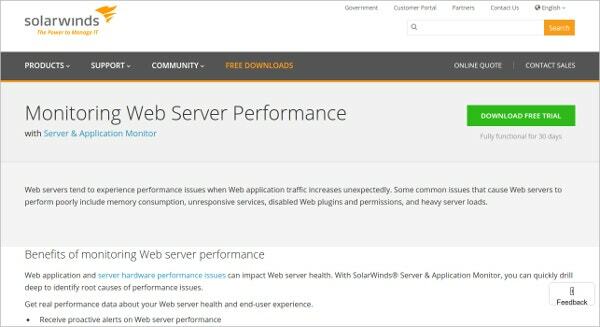 Solarwinds – Monitoring Web Server Performance tool helps in preventing many problems caused by web server failure. It monitors website downtime and helps in restarting application pools and sites to ensure continuous uptime. It checks the load on the server and also finds out the root cause of the web server issues. Website Pulse – Web Monitoring & Web Server Monitoring Tool has been designed to instantly test performance, availability, response time and other such parameters of a web server. It performs multiple instant tests in order to identify and resolve different web server related problems. Most web hosts and website owners make use of these tools from time to time to make sure that their website is reaching the required target audience. 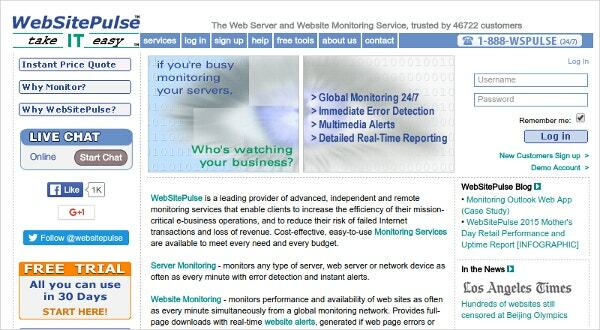 There are several locations on the internet where you can get web server monitoring tools.